37celsius is a private equity firm and a strategic investor, targeting Connected Health companies for investment and strategic support. Our unique and comprehensive industry experience and relationships with our global reach will accelerate these firms to improved growth and market value, while reducing healthcare costs, increasing access to care, and improving patient outcomes. Healthcare continues to rapidly evolve, primarily due to an aging population, forcing healthcare policy and reimbursements to also change. 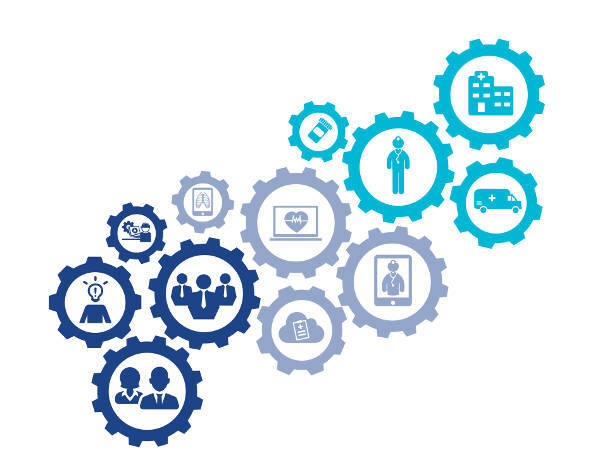 The transition from acute disease care towards preventative, predictive, and remote care has enabled Connected Health, or “cHealth,” technologies to emerge and support these initiatives. cHealth organizations have been designed to support the aged, chronic disease patients, and those with limited access to specialty care, yet they have underperformed due to inadequate capital and lack of strategic directives and support. 37celsius is a strategic private equity firm designed to address and resolve these issues, providing cHealth companies with greater market access and smarter growth strategies. 37celsius has a unique set of advantages, including a broad understanding of the entire Connected Health ecosystem, an extensive background in healthcare and policy, knowledge of the pain points within the Connected Health market, and an inherent aptitude for technology and innovation. Armed with successful go-to-market strategies and health technology capital, 37celsius is a strategic private equity firm positioned to fuel and grow the Connected Health ecosystem. 37celsius’ core team and operating network consist of executives from the medical device industry, doctors, healthcare institutions, and investment professionals from the U.S. and Europe. Each party brings unique expertise, a valuable network, and useful perspective. 37celsius has a well-balanced team, drawing on its 45+ years of experience and relationships in the healthcare industry. Its members have completed more than 30 strategic transactions, and successfully operated equipment and services healthcare companies in the US, LATAM and Europe to become successful within the various healthcare ecosystems in North America and abroad. The team previously worked together cohesively and effectively in a high-performance culture with best-in-class processes, and has now built the foundation for an integrated investment platform. The advisory board is comprised of thought leaders and experts representing the most relevant stakeholders in the cHealth industry (e.g., Providers, Payors, Pharma, and MedTech companies). The board’s objective is to strategically guide the overall fund, identify and assist in new investment opportunities, support 37celsius portfolio companies in gaining access to the healthcare system, and to enable commercial partnerships within the 37celsius ecosystem. The principals of 37celsius, with over four decades of relevant industry relationships, have engaged key partners throughout the valuation process. This engagement will include areas such as access to and qualification of portfolio companies, strategic investments based on aligned objectives, and access to C-level executives within the provider and Payor space to create key partnerships.